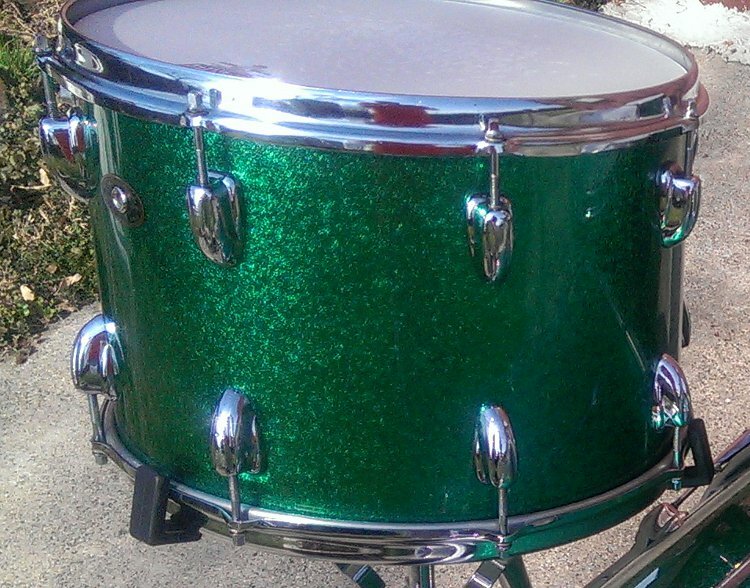 Picture sent in (April 2014) by Matthew Mozdziak from Waterbury, Connecticut of his Slingerland drum set.Looking Great Matthew! 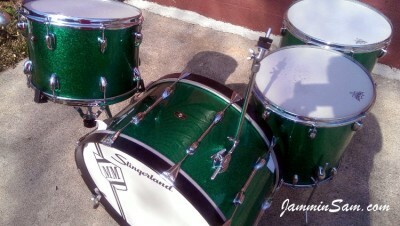 Just wanted to send you some pictures of my Slingerland Kit wrapped in your JS Green Sparkle wrap. 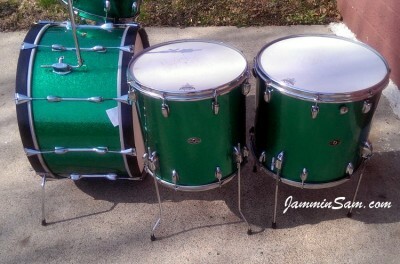 I’ve always enjoyed Slingerland drums and I wanted to create a “Bonham” kit; 14×26, 10×14, 16×16, 16×18. All the shells are from the 60’s and 70’s , mahogany/maple. Your JS Green Sparkle wrap is nearly identical to the vintage green sparkle but at a fraction of the cost! Your customer service is top notch. I appreciate you taking the time to discuss the differences between the vintage and JS wraps. Your instructions were easy to follow and the results are fantastic! I recently had a gig and received many compliments on how beautiful the wrap looked. Thanks from one happy drummer! I will be back for more!